Miracles are being performed, but the cost of treatment is becoming prohibitive. We must move beyond fighting over expensive drugs that add only a few months to life. One in three of the population will be diagnosed with cancer at some point in their lives. Nearly all families have been affected. It is a disease that causes much emotion and fear. Politicians, with their never-ending quest for popularity, have ruthlessly exploited it as a battleground for catching votes. Promises are easy but their delivery is fraught with difficulties. And the media, fuelled by press releases from cancer charities, biotech companies and the increasing volume of litigation, continue to fill column inches with a mix of exaggerated good and bad news. Much of the technology is changing so fast that it has become a very challenging field for clinicians at the frontline. And patients are often left bewildered and frightened by the discrepancy between what is being offered to them and what they read and can find on the internet. This weekâ€™s report from The Lancet Oncology Commission on the cost of cancer care in high-income countries, written by a series of experts, patient advocates and economists, provides a stark conclusion. Quite simply, no healthcare system can afford to pay for the huge increases involved in prolonging cancer patientsâ€™ lives for a few weeks. We are truly at a crossroads. The fact that the populations of the Western world are ageing, together with our increasingly unhealthy lifestyles, is dramatically increasing the incidence of cancer. The cost of the new technology to deal with this could be staggering. The last eight drugs approved this summer by the US Food and Drug Administration will cost an average of nearly Â£10,000 a month per patient â€“ and thatâ€™s not counting the cost of their administration or treating their side effects. This is a new level of expenditure for little overall gain: between two and seven monthsâ€™ life, depending on the drug. I have lobbied extensively for better patient access to high cost drugs in Britain. Letters to newspapers, MPs, civil servants and ministers from my colleagues and I have had some impact. I remember spending an afternoon at a High Court Judicial Review for one patient. It was a surreal experience, with men in wigs and gowns in a stuffy Victorian courtroom determining the treatment of a patient. The cost of the day could have treated 10 patients with the disputed drug. But she won and got it. This weekâ€™s report is the result of contributions from many experienced oncologists. Sadly, the pharmaceutical industry declined to participate. This was an error. We all need to be partners if a long-term solution is to be found. But 65 per cent of all cancer drugs are sold in one country that is home to less than 5 per cent of the worldâ€™s population â€“ the US â€“ so what does the industry care about Britain and its NHS? Yet now even the US is baulking at the high cost of the new cancer drugs. Dendreon shares plummeted from $40 to $10 this summer when Provenge, its vaccine for prostate cancer, simply wasnâ€™t selling because of its high cost. Until we can get regulators, payers and providers of care together with those that make and sell the drugs, itâ€™s going to be difficult to move on. We know that Britain is losing ground in keeping up with modern cancer treatment when compared with the rest of Europe. Our outcomes in terms of survival are still poor, and access to sophisticated radiotherapy and innovative cancer drugs is far lower than in other European countries. There are still significant delays in diagnosis of patients owing to inadequate provision of imaging and pathology services. In an era of personalised medicine, rapid access to these services has become essential in constructing an individual treatment plan. Over the last decade, an increasing number of cancer drugs have been licensed. In the UK, those responsible for commissioning care in the NHS have been challenged by patients and their relatives to provide such drugs. Over 40 are now in the final stages of the global development pipeline. These are the products of the molecular revolution triggered by the discovery of the structure of DNA in Cambridge in 1953. They work by targeting the molecular cogs of growth control that go wrong in cancer. This is an exciting time for those involved in cancer research and care. But the cost of getting a single drug to market now exceeds Â£700 million per compound. More sophisticated molecular diagnostics are also being developed to personalise care and increase its cost-effectiveness. Giving the right medicine to the right patient will drastically reduce the overall costs of care, but we are not there yet. Molecular signatures of response to high cost drugs that are easily determined by looking at a sample of a patientâ€™s tumour are urgently needed. Within the next five years, clinical trials will look very different to today. Only patients whose cancers display the relevant biomarker pattern that suggests responsiveness to a new drug will be entered. After 24 hours of drug administration, we will be able to measure signals of response. And there is much else to do to improve cancer survival. Radiotherapy has, until recently, been the Cinderella of cancer, yet more than 50 per cent of patients will benefit from it. The precision of dose delivery has been revolutionised by massive improvements in imaging and computerisation. Earlier diagnosis, public education and prevention can be effective tools in saving lives. Palliative and end-of-life care are vital to support patients and an essential part of modern cancer technology. But what we spend on drugs we donâ€™t have for other strategies. 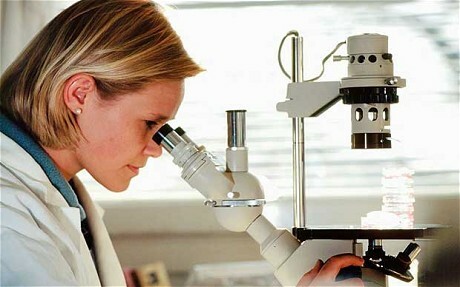 The National Institute for Clinical Excellence (NICE) was set up over a decade ago to assess new technologies. However, political expediency has sometimes meant overruling its decisions. We saw this first with the breast cancer drug Herceptin, which Patricia Hewitt, the then Labour health secretary, said all women could have. This was followed by the saga of sunitinib for kidney cancer. There was a huge amount of hassle and worry for patients, doctors and commissioners over sunitinib, which NICE, after a long delay, turned down in its guidance. There are around 5,000 new patients with kidney cancer in the UK every year. The subsequent U-turn on the Governmentâ€™s stance on top-ups â€“ allowing patients to pay for additional treatment without losing their right to NHS treatment â€“ was driven by this one disease. NICE insists it is independent of politicians, but it reversed its sunitinib decision within six months, with no new data. Sadly, last year, NICE turned down sorafenib for primary liver cancer. It is the sole drug shown to significantly prolong survival for this group of patients and is widely available in Europe and North America. The only way to access it on the NHS is to use the top-up mechanisms, which have not been uniformly implemented and for which you have to have the money. The more recent New Cancer Drugs Fund of Â£200 million a year is another way of circumventing NICE. But allowing individual commissioners to decide how to spend this fund, albeit on the recommendation of the treating oncologist, brings inconsistency and postcode prescribing. The costs in both financial and emotional terms are enormous. We need more honesty and transparency. As doctors, we are the servants of society. We all have to face the difficult decision of how to ration healthcare together. It can never be a bottomless pit. If we spend more on cancer, then other patients will suffer. Mental handicap, chronic mobility disorders, dementia and the chronic care of older people with multiple illnesses are all deserving recipients of our health funds. Society has to decide how much to put on the price of life. Doing whatever it takes to extend life by a few weeks is not a logical decision. Seeking solutions through better diagnostics and creating a policy that reflects the value of an extended life to an individual is challenging but likely to be the best way forward. That to me is the essence of this report.